Caregivers are human, and unfortunately mistakes happen. In a 2016 study patient safety experts at Johns Hopkins calculated that “more than 250,000 deaths per year are due to medical error”.2 While healthcare organizations work to improve patient safety, avoidable patient harm continues at an alarming rate. So what can organizations do to reduce avoidable errors and increase their patient safety? Industry leaders say the best way to do no harm is by following a High Reliability Organization (HRO) model. High reliability organizations are defined as “organizations that operate in complex, high-hazard domains for extended periods without serious accidents or catastrophic failures”3. With the number of patients that flow through hospitals, rotation of caregivers, and complexity of procedures completed, it’s not a question of if, but when will a mistake occur. That’s what makes the HRO model an attractive concept to healthcare organizations. HROs know the risk of a catastrophic error exists within their organization and they predictively work to prevent its occurrence. HROs have an obsession with failure. Big or small, each failure has the potential to develop into something more. As failures occur the focus becomes how to prevent it from happening again. Close calls or near misses receive the same attention as a failure. A failure may not have happened, but the potential for error was there and must be examined. Streamlining processes is essential in maintaining order and consistency. HROs are cognizant that bare bones processes can have an adverse effect. Oversimplification can lead to oversight of key information that can lead to points of failure. Do you focus on the how and why of the operational aspects within your organization? HROs do. Those who work in a HRO are aware of what they do and what those around them do and the impact that each can have for failure. HROs are in a mode of continuous improvement, looking for loopholes and points where the unexpected can happen. Do you remember as a kid running around the playground and falling down? You would jump up, brush the dirt off, and keep playing. HROs are the same way. 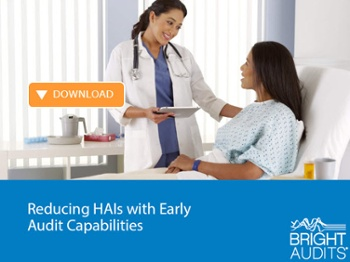 Errors happen and when they do, HROs bounce back and quickly return to normal operations. They know with each error they must learn from it and adapt their organization to prevent its reoccurrence. In an HRO, expertise takes precedence over authority. Experts provide the content or situation knowledge to make decisions in a crunch. Those in the situation recognize their limitations and seek information from the expert. Becoming a HRO doesn’t happen overnight. However, you can begin today taking the steps needed to get there. The first step is a self-evaluation of your organization. Examine each of the 5 characteristics and evaluate how your organization measures up. Second, make note of the areas you do well and where you fall short. Your organization may be great at bouncing back when things happen, but you’re not focusing on the errors to eliminate their occurrence. Lastly, create a plan and a culture that addresses the areas where you fall short. Becoming a HRO requires a flexible mindset. Once you chart the path to get there, you have to make sure the culture within your organization supports it. Do you need help on your path to becoming a HRO? Let Clarifire help you! Our innovative workflow platform, CLARIFIRE HEALTH® is used by progressive healthcare systems for automation of clinical and operational workflows, rounding, and audits. CLARIFIRE HEALTH strategically positions healthcare organizations with operational visibility, process standardization, and detailed reporting needed to support HROs. Let us show you the benefits that BRIGHTER AUTOMATION can bring. 1. Nightingale F. Notes on Hospitals. London: Longman, Roberts, and Green; 1863.